Shout your message with sign printing from Kall Kwik… From fire safety commands to directions, we’re constantly receiving instructions displayed in the form of signage. There’s always a requirement for clear signs. Extremely durable, signage is required to offer directions or convey safety messages. From fire safety signage to braille and tactile signs, businesses are required by law to display certain information. 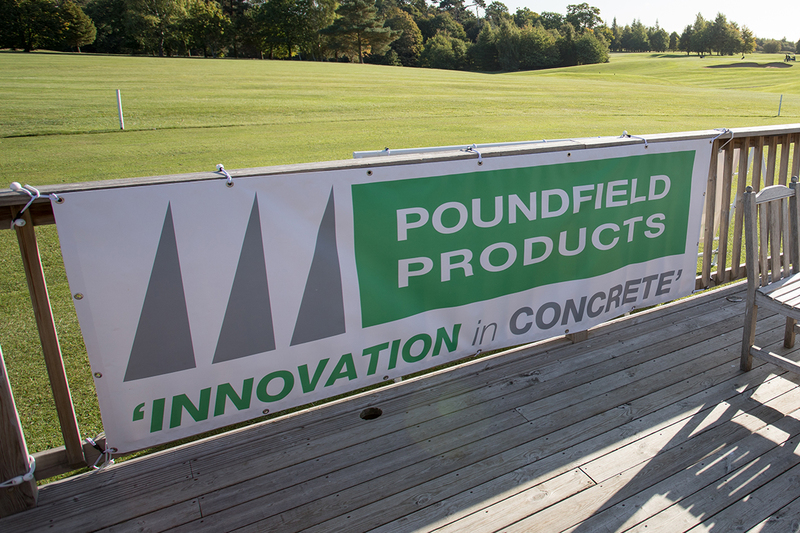 We also offer a large range of banners, boards and pavement signage to make sure your business or event is seen! We are able to produce printed Correx boards that make perfect temporary signage. Correx is a durable, corrugated plastic weatherproof material ideally suited to outdoor temporary signage. They are lightweight and easy to hang on lampposts and other objects. 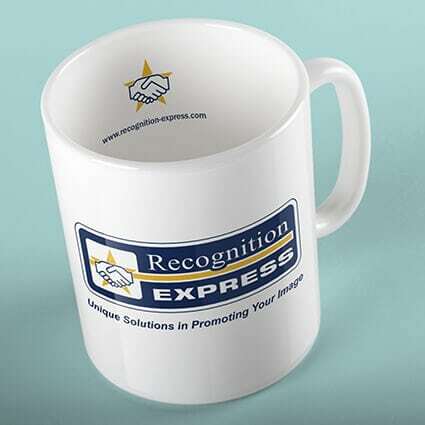 We can print them in a number of sizes ranging from A4 to A0. Find out more about Correx board printing. 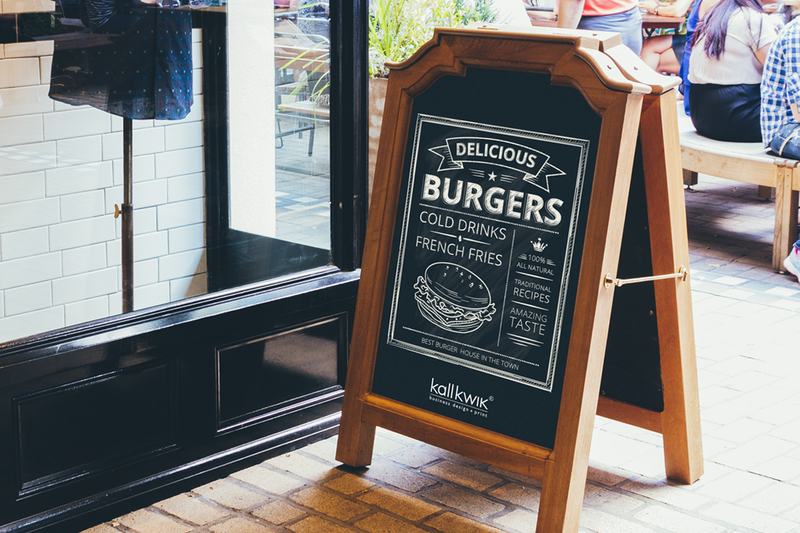 Our robust range of aluminium all-purpose A-boards feature galvanised steel backings and fittings making them able to cope with whatever the British weather can throw at them. The snap action, front opening frames mean that posters can be changed quickly and easily. Find out more about pavement signs & A-boards. 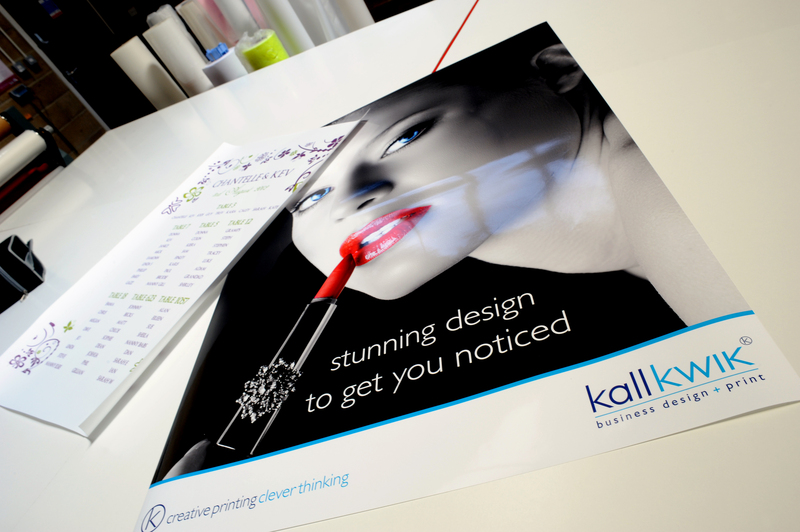 Create a big impression with our poster printing service in Bury St Edmunds. We can print posters up to A0 in size and as long as you like. Ideal for exhibitions, promotions, product launches and personalised gifts – in fact anywhere where you would like to make sure you are seen! See more about our poster printing service. Kall Kwik offers high-quality vinyl banner printing in Bury St Edmunds. Exterior banners are an economical way of attracting passing custom. Easy to put up, our banners are made from hardwearing vinyl and come complete with eyelets. Ideal for open days, promotions, exhibitions and sporting/corporate events. Discover our vinyl banners printing service. 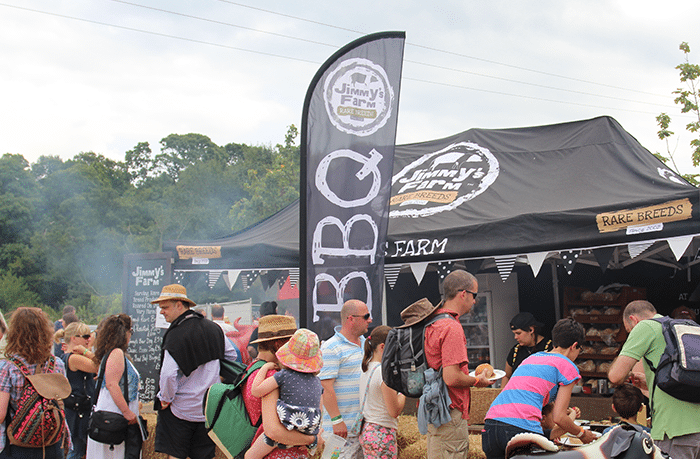 A great tool for advertising your company at events or adding kerb appeal to your business address, a flag is perfect for attracting attention and increasing footfall. Ideal for indoor or outdoor use, our flags are a cost-effective branding solution for promoting your business, products or events. Find out about our flag printing service. 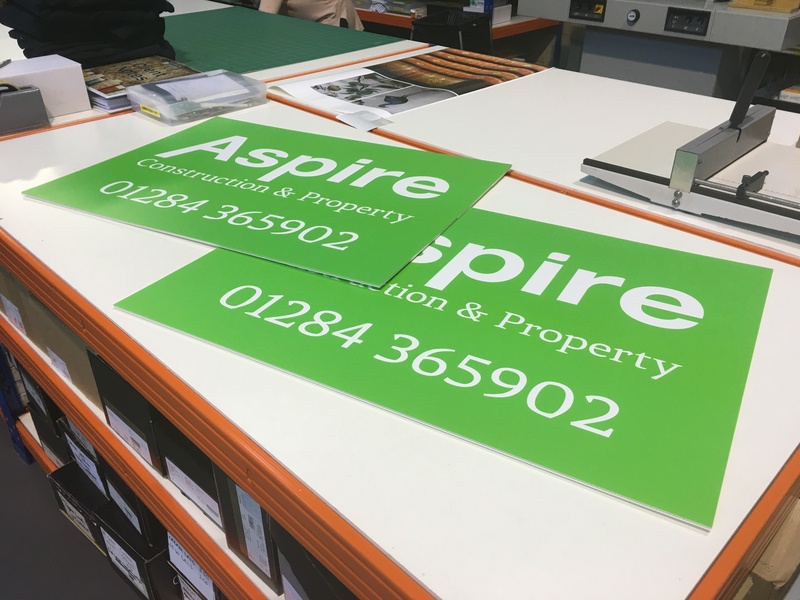 If you need help printing signage for your business, contact us on 01284 752266 or use our online form and we’ll happily work out a price for you.